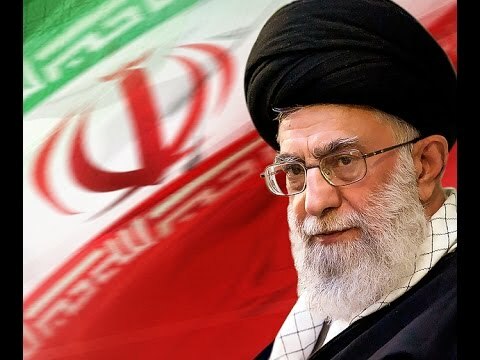 Iran\'s president says the problems in the Middle East have doubled since the creation of israel. Hassan Rouhani says over the past 65 years, the trace of Zionists has been seen in every single problem in the region. Rouhani says unity among the regional states is the only way to help rescue the Middle East. The president made the comments in a meeting with visiting Lebanese parliament speaker Nabih Berri. The Lebanese official also held a separate meeting with Iran\'s foreign minister, Mohammad Javad Zarif. Zarif says Israel\'s pressure to derail the recent deal on Iran\'s nuclear deal is in fact aimed at diverting attention from its aggression against Palestinians. Iranian presidential candidate Ali Akbar Velayati says it is possible to fix the Islamic Republic\'s economic problems by reforming the country\'s foreign policy. The Iranian former foreign minister made the remarks in a televised interview in Tehran on Monday. \"The issue of foreign affairs... and the domestic economy have close ties to one another,\" he said. Velayati, who is currently serving as an advisor to the Leader of the Islamic Revolution Ayatollah Seyyed Ali Khamenei, stated that he would pursue Iran\'s nuclear rights if elected in the upcoming presidential election. \"I would like to assure our dear people that we will solve the nuclear issue by preserving the nuclear rights and we will boost international relations without relinquishing an iota of Iran\'s rights.\" The Principlist candidate added that Iran has \"billions of dollars in foreign countries,\" and that \"we need an active diplomacy,\" to return it. He also emphasized boosting the country\'s economy by privatizing state-run sectors, increasing production, and fully implementing the state subsidy program. Velayati will be contending against lawmaker Gholam-Ali Haddad-Adel, Secretary of Supreme National Security Council Saeed Jalili, Expediency Council Secretary Mohsen Rezaei, President of the Strategic Research Center of the Expediency Council Hassan Rohani, former First Vice President Mohammad Reza Aref, Tehran Mayor Mohammad Baqer Qalibaf, and former Telecommunications Minister Mohammad Gharazi. Iranians will go to the polls in the nation\'s 11th presidential election on June 14. The 4th city and rural council elections are also scheduled to be held on the same day. The president of Iran is elected for a four-year term in a national election, and the Guardian Council vets the candidates. Press TV reports on the latest news headlines from around the world. The show features the two characters facing mostly self-made problems, trying to solve them using any possible and impossible tools and construction gadgets. This leads to even more problems and yet, eventually, the two manage to get a working result with a mostly surprising solution. According to the authors, it is the manual ineptitude that inspires the stories. The humour is not the only feature of the show, another feature is having an optimistic approach towards life. The two characters always get into problematic situations, but they never give up until they solve the problem in imaginative ways. Why are there so many problems in the world today? What are the solutions to these problems? The Leader speaks. This documentary by Hassan Ghani and Yvonne Ridley gives an insight into the journey, and the problems they faced along the way, especially in Tunisia and Egypt. Please take an hour and watch an amazing story. The series tells the story of a family that decide to migrate from Aliabad to Tehran and many problems are faced upon arrival in the capital.